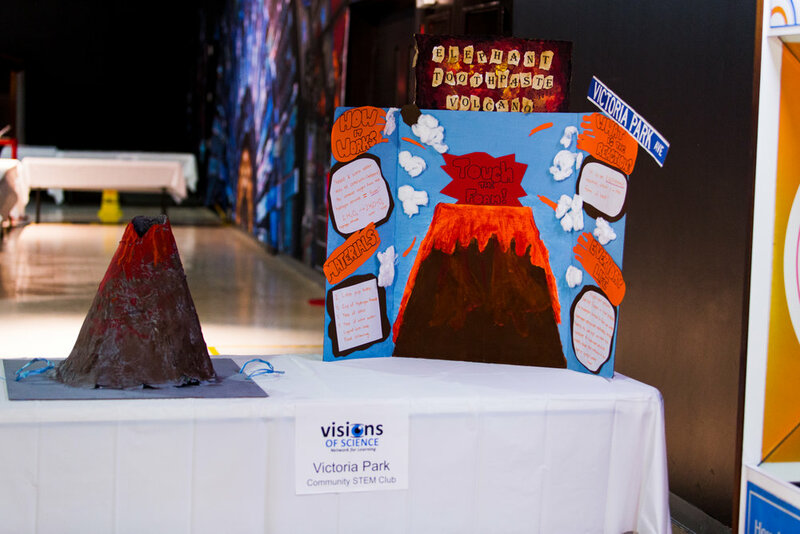 The 6th Annual Visionary Expo: A celebration of STEM learning! 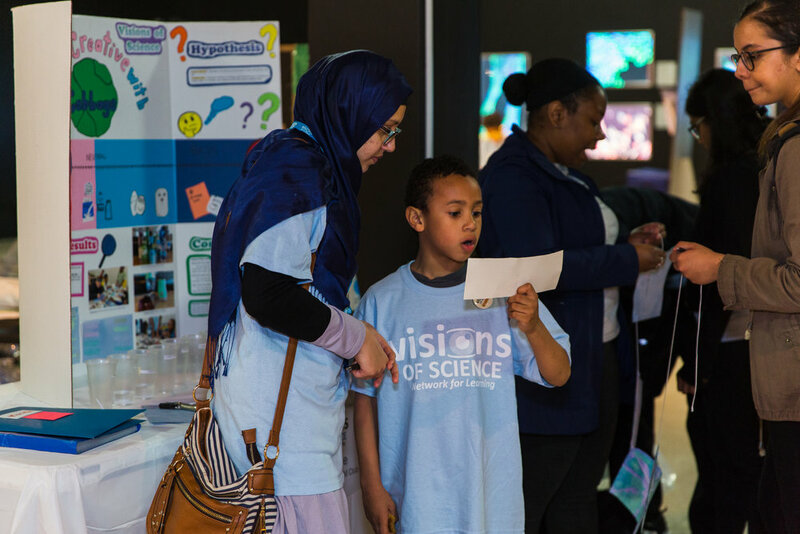 On Saturday May 5th 2018, we celebrated our 6th annual year end event: the Visionary Expo at the Ontario Science Centre! 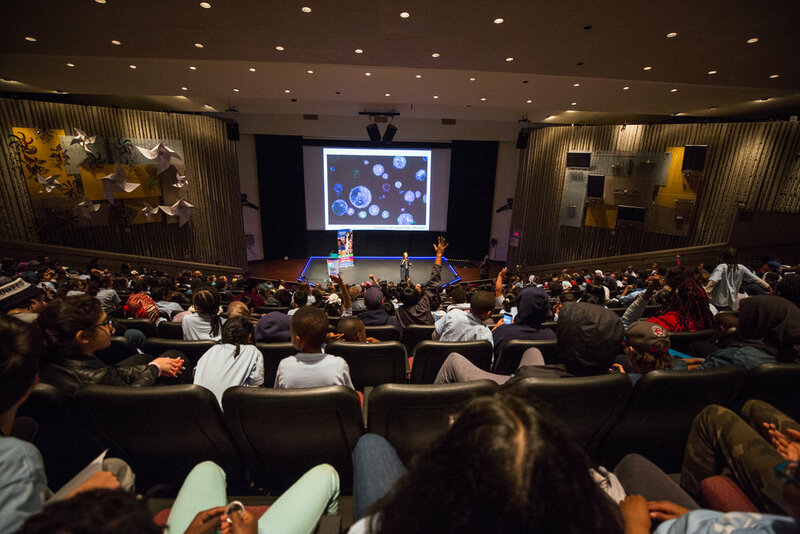 A celebration of STEM learning, the event brought together 300 youth, 100 volunteers, and 75 Community members from 24 Community STEM Clubs across the GTHA! 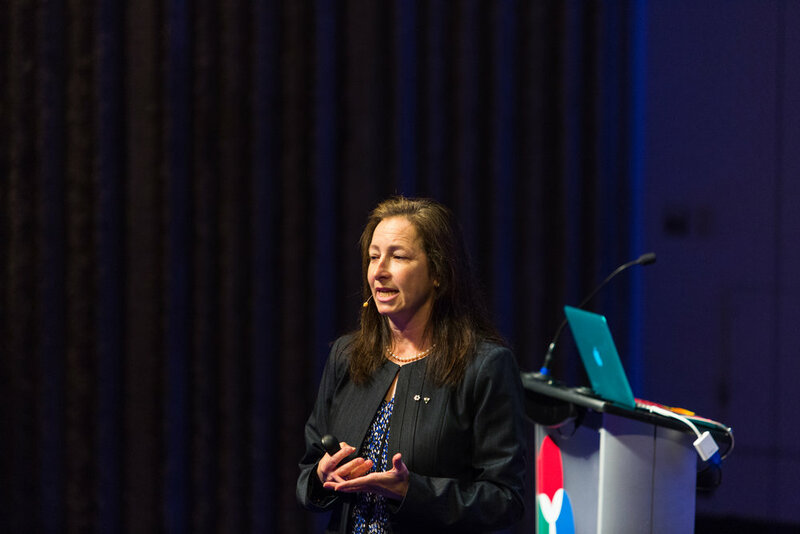 The day began with opening remarks from CEO of the Ontario Science Centre, Dr. Maurice Bitran and a keynote speech from Ontario’s first Chief Scientist, Dr. Molly Shoichet. 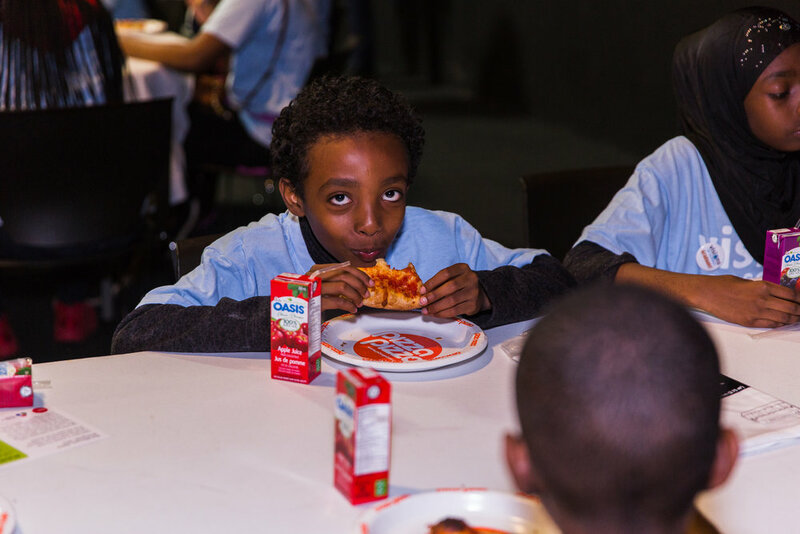 Youth even got to explore Dr. Shoichet's new Inner Space Exhibit and learn about the wonders of outer space! 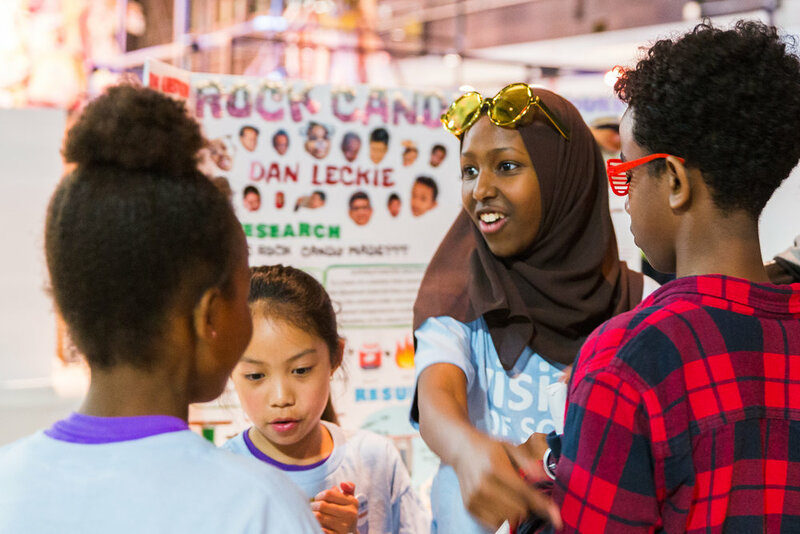 The main event showcased youth learning in science-fair style presentations which youth delivered with their STEM Clubs. 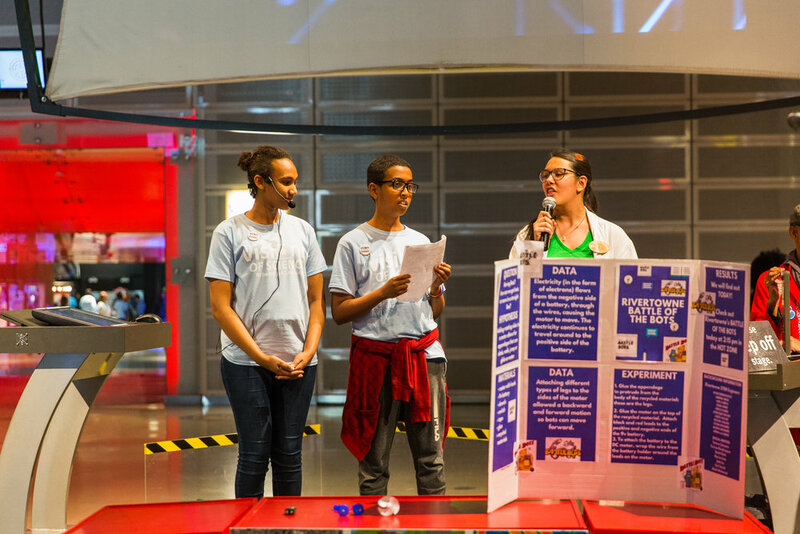 The 24 presentations including Air Vortex, Holograms, and The Science Behind Music truly reflected their hard work and dedication- the Rivertowne club even got to deliver a featured presentation in the Ontario Science Centre's Hot Zone! 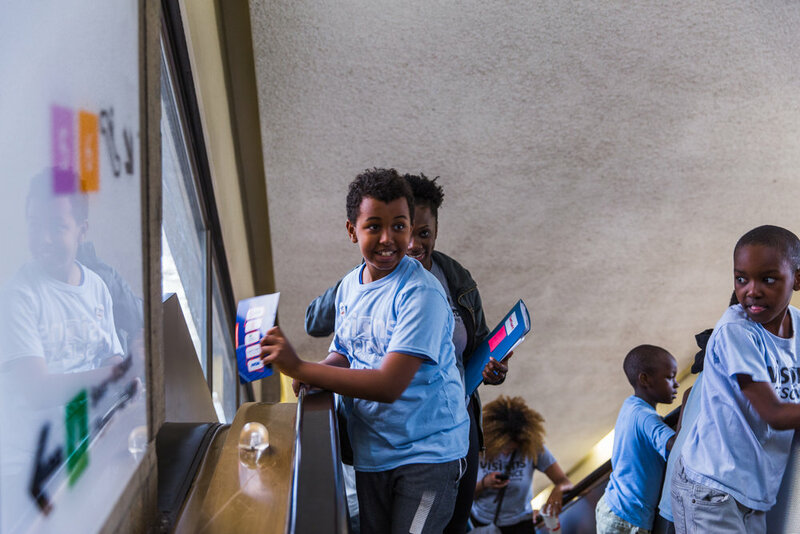 Finally, Six STEM Clubs took home top-category medals and all VoS participants walked away as graduates of the 2017/18 STEM Clubs Program! 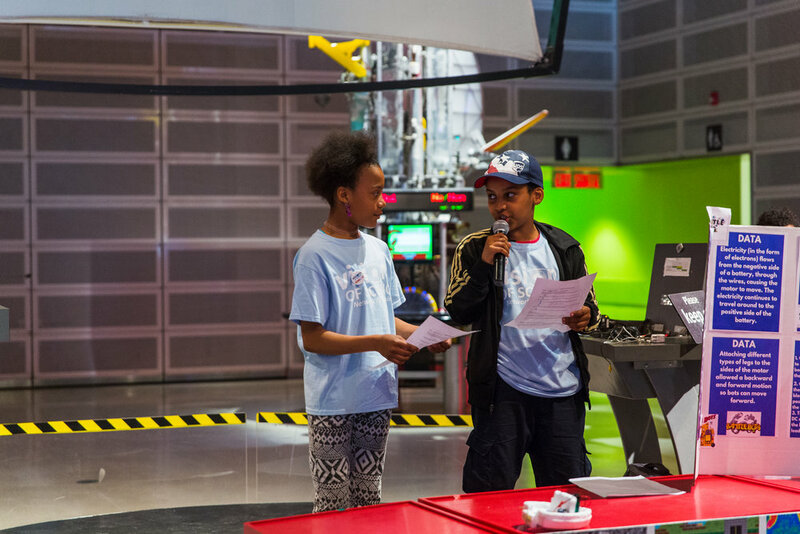 A huge thank you to the Ontario Science Centre for hosting this event for the second year- we appreciate you! 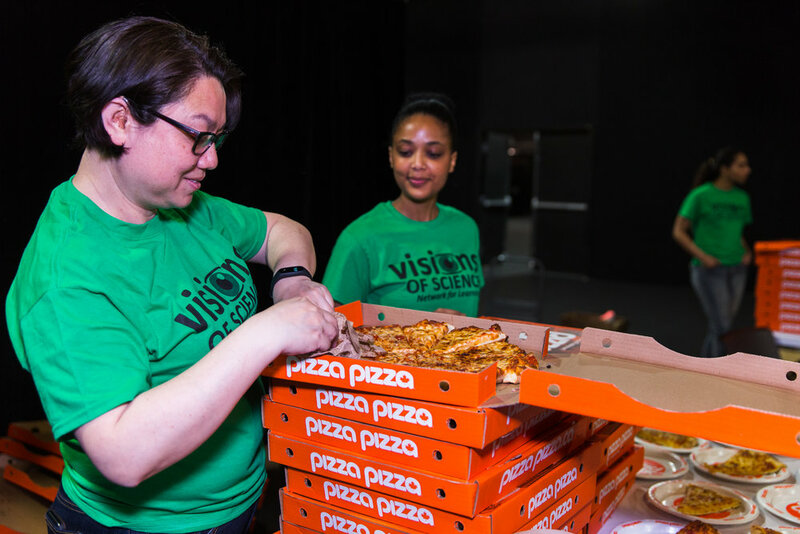 Thank you to Pizza Pizza for being sponsors of the event and to our major STEM Clubs supporters Toronto Community Housing, Amgen, Toronto Pearson International Airport and Ontario Trillium Foundation for making it possible! 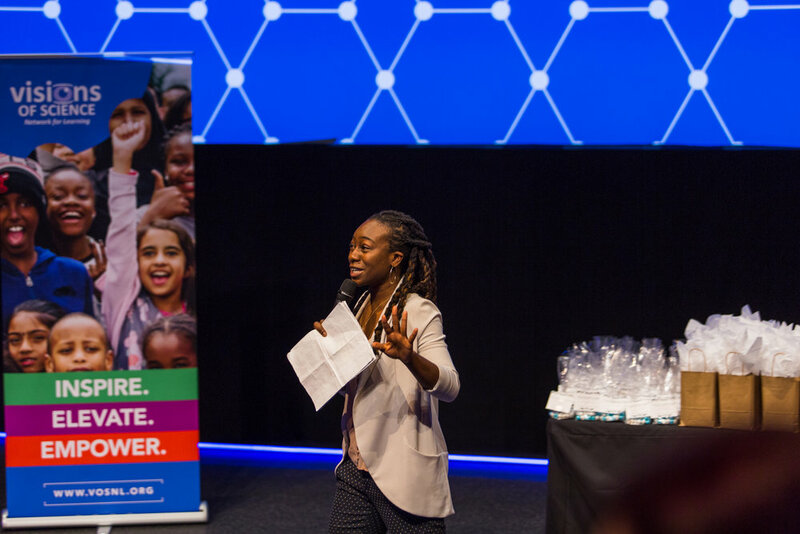 Lastly, a big thank you to our incredible team of over 100 volunteers who are on the ground being leaders- THANK YOU! Older PostVoS Youth Tatyana Buntin Receives A Volunteer Toronto Legacy Award!